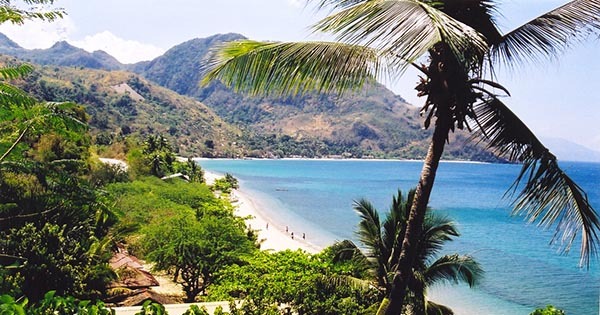 As the seventh largest island in the Philippines, Mindoro Island boasts of many tourist attractions such as excellent beaches, entertaining parks, premier diving and snorkeling spots, majestic mountains, etc. Tourists thus love to flock to this beautiful island province located on the southern tip of Luzon, and on the northeastern part of Palawan. #1 - Apo Reef Natural Park: This captivating site is home to rich marine life, hence, a must-see for all diving enthusiasts who want to have a good time with their buddies or family right there over in Sablayan, Mindoro, Philippines. A truly highly recommended happy swimming with dolphins, whales, sharks, and many colorful reef fish await each eager diver at out of this world, Apo Reef Natural Park. #2 - Talipanan Beach: Be laid back at soothing Talipanan Beach located in Puerto Galera, Mindoro, Philippines. This pristine nature's wonder is not crowded and thus you can enjoy ultimate peace and quiet as you gaze at the calm waves of the ocean, while you reminisce about your past, appreciate your present or visualize your future. Moreover, this small but terrible beach houses Luca's restaurant, a must-try gastronomic experience for their huge and tasty meals. #4 - Pandan Island: For all you weary sojourners out there, who are keen on having good food and drinks, as well as outstanding customer service, fun snorkeling with the turtles near the shore, and the chance to explore a pretty reef -- quickly head for wonderful Pandan Island. Go there by first setting foot in Sablayan town, then take a boat ride towards the island. For more details, visit: www.pandan.com. #5 - Mount Malasimbo: What better time to visit Mount Malasimbo than in March every year, in an international event known as Malasimbo Music & Arts Festival. This famous event creates awareness about the Mangyan cultures and how to preserve our environment, on top of showcasing interesting music and arts. Food maybe costly during this time, however, you can have the option of eating first in White Beach before joining this once in a lifetime festivity. #6 - Tamaraw Beach: A more preferred beach with 2 hotels, is breathtaking Tamaraw Beach, located in Puerto Galera, Mindoro, Philippines. This super serene and relaxing place doesn't have too many hawkers like those in White Beach, so it is your more family - friendly, handy - dandy place to be. Whisper sweet nothings with your beau while walking along the shore and/or bask in the warm afternoon sunshine, as you and your company take a dip into the cool and sparkling clear ocean water over at stunning Tamaraw Beach.